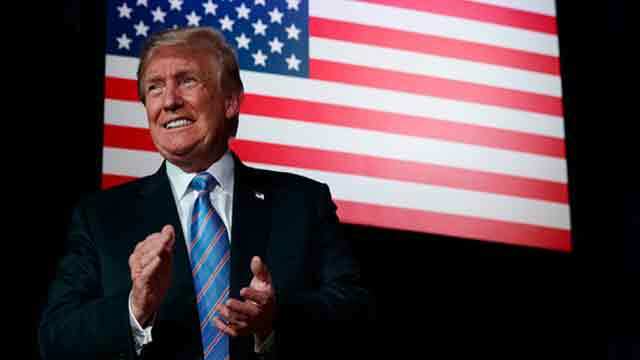 Washington, July 9 (Just News): President Trump on Monday again blasted North Atlantic Treaty Organization members for what he described as their measly spending, asking them to increase their contributions to the alliance, reiterating past criticism ahead of his trip to a NATO summit this week. “The United States is spending far more on NATO than any other Country. This is not fair, nor is it acceptable. While these countries have been increasing their contributions since I took office, they must do much more. Germany is at 1%, the U.S. is at 4%, and NATO benefits..........Europe far more than it does the U.S,” the president wrote on Twitter. North Atlantic Treaty Organization leaders are due to arrive at the alliance’s shiny new headquarters in Brussels on Wednesday bracing for what could be yet another bruising encounter with President Donald Trump. The U.S. commander in chief has a familiar stick to wield: the shortfall in defense spending; or as Trump puts it, allies’ refusal to “pay what they owe.” Trump has given plenty of advance warning of his line of attack, with letters dispatched to NATO leaders who don't yet meet the target of 2 percent of gross domestic product. Yet the risk of a blowup is all the greater given Trump’s habit of conflating defense spending with trade surpluses, a gripe that puts Angela Merkel and Justin Trudeau firmly in his sights. Then there’s the long shadow cast by Vladimir Putin, and fears in some allied capitals at what Trump might offer the Russian leader at their summit in Helsinki next Monday.